Tasa Ducks defeat Cape Breton County 4-1 in their opening game at the 2016 Nova Scotia Pee Wee AAA championships in East Hants, NS. 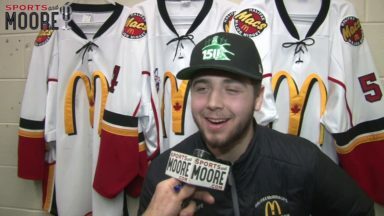 Here are video highlights from the game including goals from Cameron MacDonald and post game interview with Player of Game. 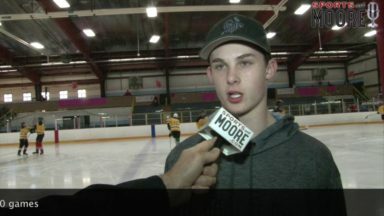 Here are video highlights from two games at the Nova Scotia Pee Wee AAA championships at Halifax’s Centennial Arena Saturday. Bedford Blues defeated Cape Breton West 7-2 & East Hants skated to 2-2 tie with TASA. Highlights from Halifax/TASA 2-2 tie and East Hants/ Acadia 2-2 tie on Day 2 at 2015 Nova Scotia Pee Wee AAA hockey championships. Goaltenders Gavin McGinn made 42 saves and Zack Nauss with 21 saves turning in strong performances.